You can now operate a kiosk mode where a customer can top up their account every time they visit your business. Of course you can restrict them to only top up once in any given period to prevent abuse of the system. For certain types of business with regular clientele, it makes sense to reward just for visiting, rather than based on how much they spend. By operating a simple "check-in" model where regular customers can check-in and earn loyalty points, then it also keeps everything simple for staff and customers alike. The only time staff need to get involved is when the customer wishes to redeem their points for a reward. In this mode, GAINLOYALTY makes running a loyalty system as painless as possible, from both a customer and business perspective, whilst maintaining all of the benefits of an online loyalty programme. As a business you have full access to your data and can set up special offers and birthday messages for your customers, as well as contact them via text, email messaging as well as app push notifications. 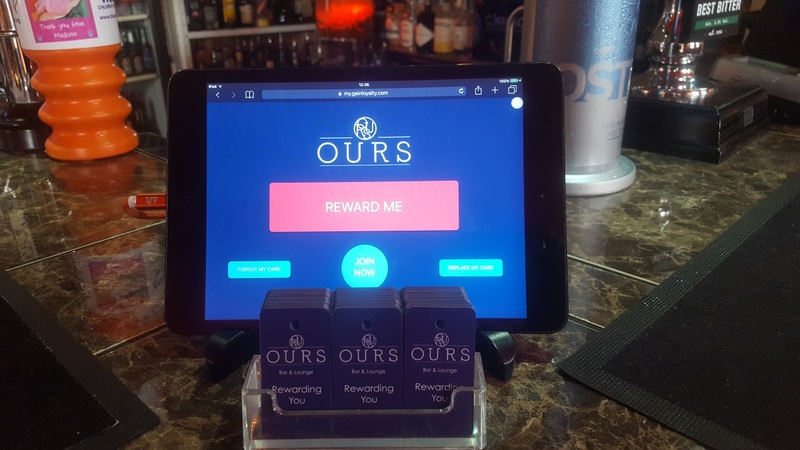 The customer taps the "Reward Me" button and scans their unique barcode on the MyRewardCard app, or on a physical card, and their check in is automatically registered and points awarded. The system will prevent customers from checking in more often than they should (e.g. once per day). The system also caters for customers who may have forgotten their card. They just need to enter their email address to check in.